The Jehovah's Witnesses religious organization governs its more than 14,000 U.S. congregations from its headquarters in Brooklyn, N.Y. The Jehovah’s Witnesses leadership has created sophisticated strategies to conceal allegations of sexual abuse. Witnesses instruct local elders to keep claims of molestation private, internal documents show, all the while collecting detailed information on predators in their ranks. For abuse victims, this can mean enduring a variety of hardships, such as being ignored by leaders and shunned by family and friends. Based on Reveal reporter Trey Bundy’s ongoing investigation, here are five issues victims have encountered. It took Jose Lopez, a former Witness, nearly 30 years to find justice after being sexually abused by a member of his congregation. When his mother reported the abuse to elders in 1986, they did not call the police or warn other parents. Instead, they promoted his abuser, Gonzalo Campos, through the ranks – even as he continued to molest other children. In 1994, when another family brought allegations of Campos’ abuse to elders, they were told too much time had passed and nothing could be done. Campos was removed from the congregation in 1995 but reinstated five years later. The Watchtower Bible and Tract Society of New York, the organization’s parent organization, has instructed elders in all 14,000 U.S. congregations to avoid lawsuits by keeping reports of child abuse secret – from other Witnesses as well as from law enforcement agencies. Or “disfellowshipped,” in the Witnesses parlance. This practice, described in a recent investigation, is similar to excommunication in the Catholic church. Congregants who have been disfellowshipped – for offenses such as smoking, homosexuality and speaking up about child abuse – are barred from the organization until they’ve repented adequately. During the ostracism, they can expect to be ignored by all members of their community, including their own families. It’s hard to overstate the implications of being ostracized this way. Because Jehovah’s congregations – especially those in small communities – are insular and tightly knit, being disfellowshipped can mean being completely ignored by your friends and family. 3. They’ve had to face an abuser. 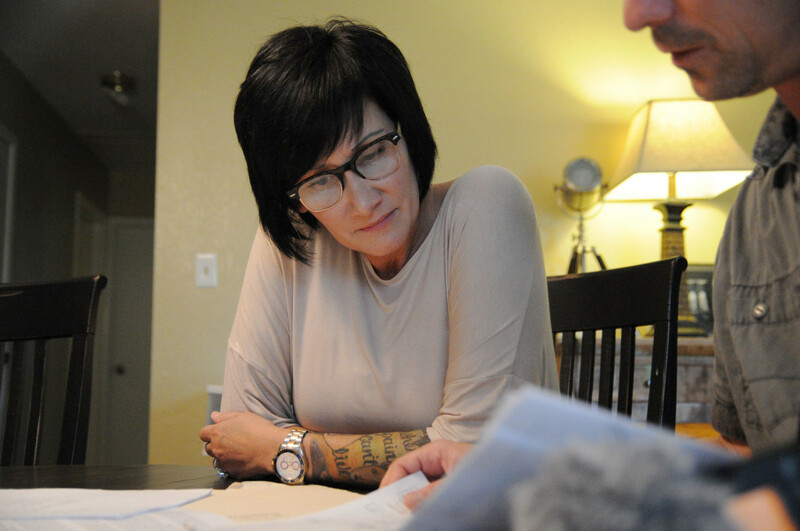 Elders in McAlester, Oklahoma, asked Debbie McDaniel to confront her abuser, Ronald Lawrence, in person with the details of her accusations against him. That’s because Jehovah’s Witnesses protocol is to have two elders mediate a faceoff between the accused and the accuser to decide whether the claims have merit and warrant action. This is different from a court of law, where it is rare for a child to confront an abuser face to face. 4. They’ve had to beg their way back in – sometimes at the feet of an abuser. McDaniel was disfellowshipped for immoral sexual conduct. As the congregation’s top elder, Lawrence had served as the chairman of the committee that disfellowshipped her and voted to push her out. When McDaniel wanted back into the congregation, she was told she had to write a letter to Lawrence apologizing for her conduct. She was allowed to start attending meetings once more, on the condition that she sit in the back, alone, and that no one – including her family – speak to her until she officially was reinstated. 5. One says she’s been targeted for speaking out. The morning McDaniel was slated to appear as the face of Bundy’s investigation, the house she shares with her wife was vandalized with black marker. 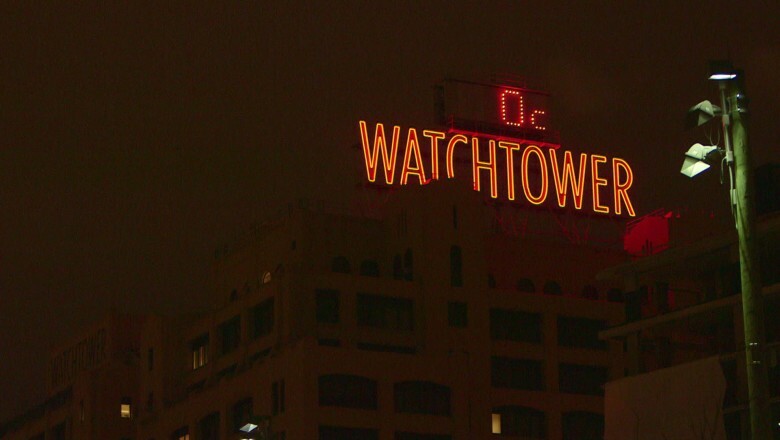 McDaniel suspects that the notes – “WatchTower Knows All” and “We’ll Be Watching You in Mexico Too!” – were written by local members of the Jehovah’s Witnesses community. The second message, she said, referred to a trip to Mexico she’d planned with her wife; they canceled their vacation. Local police, who are familiar with McDaniel’s story, are treating the vandalism as a hate crime. 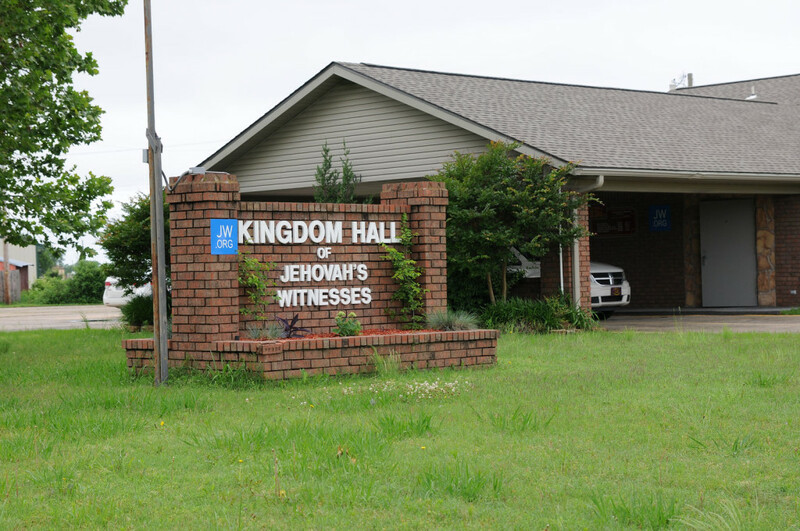 On the northwest edge of town sits the kingdom hall of the McAlester Congregation of Jehovah’s Witnesses in Oklahoma, a house of worship with about 100 members. Credit: Marsha Erwin for Reveal 5. One says she’s been targeted for speaking out.